Scooper - Technology News: Does capitalism have to be bad for the environment? 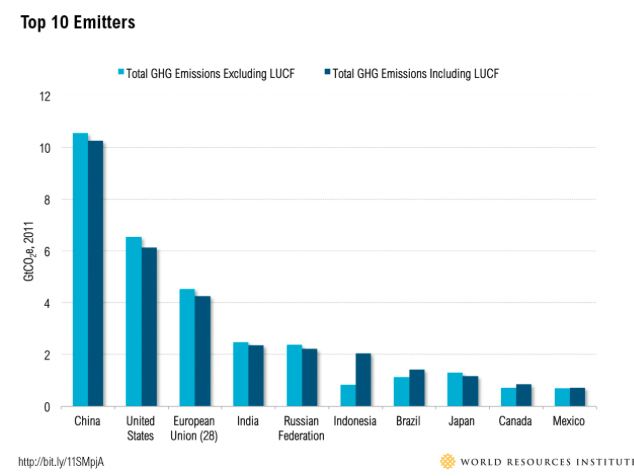 China and India have grown rapidly in the past two decades and the bedrock of development in their industrial settings are non-renewable natural resources, which happen to generate one of the highest rates of carbon gas emissions. Non-renewable natural resources are often underpriced since their future value is not accounted for in the dynamics of supply and demand. In an influential study for the World Bank , Margaret Slade shows in great detail that the enormous negative “externality” - negative impact - that’s inflicted onto the environment as a result of extraction, production, and the use of minerals is largely due to underpricing those natural resources. Which is to say, the massive minerals consumption that’s responsible for a large fraction of world pollution are not taken into account in the prices that they are offered in the market. The upshot is that buyers tend to overconsume these resources. The fluctuating price of oil that’s produced by the Persian Gulf States is the most telling example. So the state on its own would be reluctant to take measures that might reduce the profit rates of business-groups for the sake of the environment. Take for instance the Chinese or the Indian states who are totally oblivious to the environmental disasters around the industrial settings in those countries . Hence, obliging the states to intervene is going to be a challenge. Individual firms, too, do not have an incentive to oversee regulations that protect the environment because they are compelled to maximize profit under the tremendous pressure of market competition.